Needless to say, they can't all fit here. 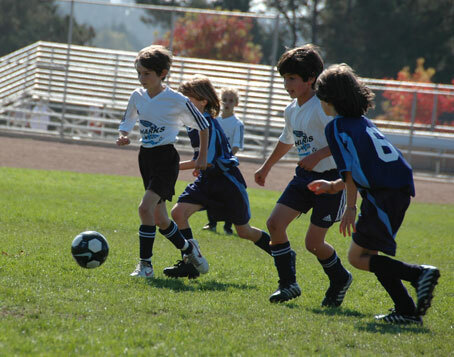 But between Happy Valley School and soccer, there are quite a few we all know pretty well. And a pleasure it is too! NB. In the unlikely event that any of Charlie's or Alex's friends (or their parents) actually makes it to this page, the selection below is in no particular order of priority. They are just photos we like that say something to us and fit with what we want to say. 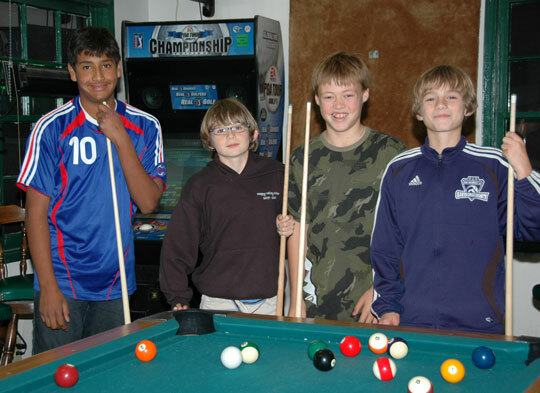 Let's start with Agustin, Alex, Jaia and Charlie, playing pool in the Britannia Arms, Aptos, at Christmas 2007. Agustin and Jaia are friends from Happy Valley School. 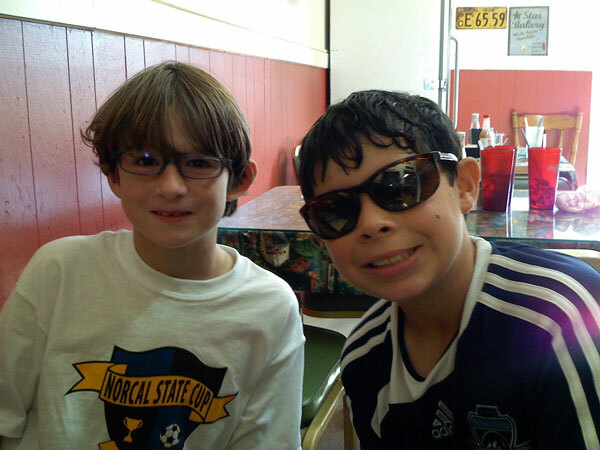 On to Alex and Brendan, who play on the same Breakers soccer team, during the NorCal tournament in Manteca, late 2007. 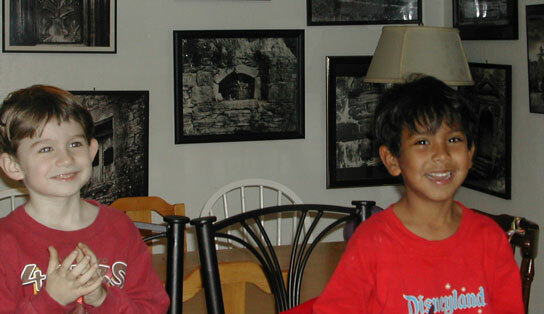 Here are Alex and Ricardo, Agustine's brother, in 2003, sitting at the kitchen counter in our home. 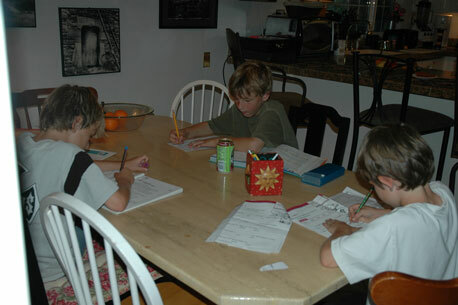 The boys are constantly inviting their friends over, typically asking the parents once the invite is accepted! That's an exaggeration, but parents will know what we mean. Charlie's friend Alex (who has since moved away and is missed!) with him on a Santa Cruz beach in 2004. Of course, when boys are together, they have a habit of fooling around! Jaia is a friend from both school and soccer. 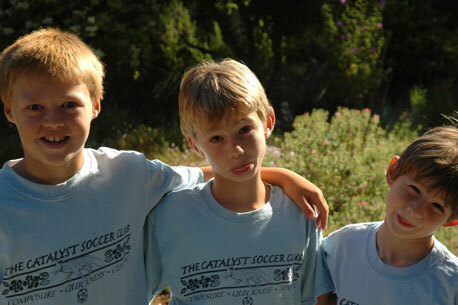 The Catalyst is soccer training for children in Santa Cruz County. More soccer, and a little explaining is in order. Cameron too is a friend from school and soccer. 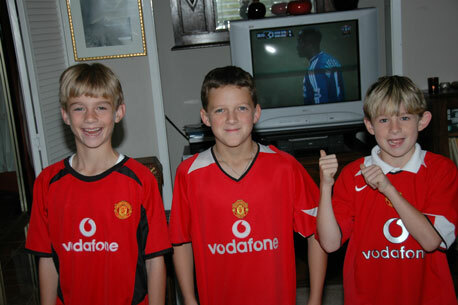 All three are wearing Manchester United shirts. behind them Chelsea are playing ManU, and losing! Hence the cheers. Just in case you were wondering, soccer isn't the only thing for these boys. No, there is also swimming! 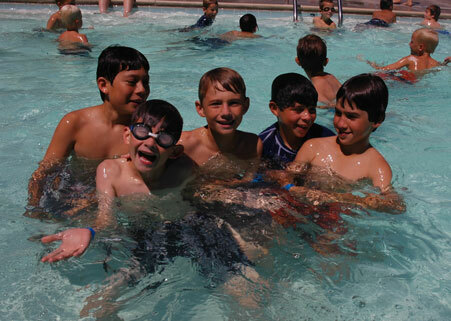 Here we have (from left to right) Ean, Alex, Charlie, Brendan (more of him here) and Galen. They also enjoy tourism, in small doses it must be said. 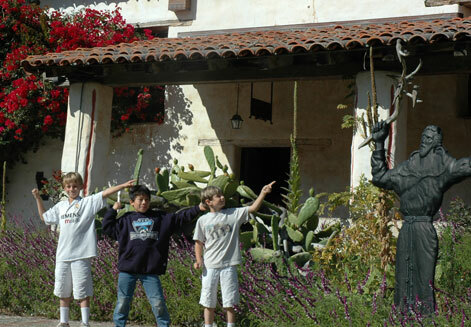 Here is Ean with them again in Carmel at the Basilica of Mission San Carlos Borremeo del Rio Carmelo, founded by Fr. Junipero Serra in 1770, second of the 21 missions that dot California. But do they enjoy doing their homework? Well, truth to tell, sometimes.  Other times, there's a certain encouragement needed. "You will not play soccer unless you do your homework!" Anton is their partner here, probably before a carpooled practice. 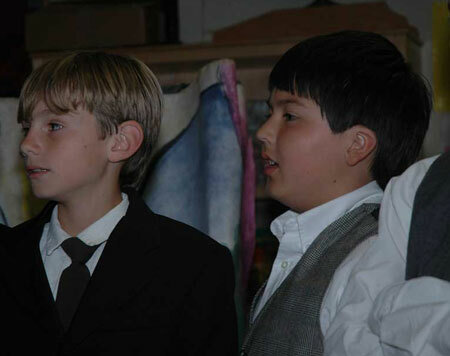 And does Charlie enjoy singing in concert at school? 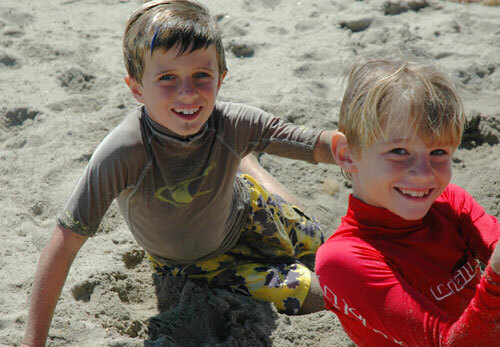 here he is with Bradley, a good buddy who is now attending a different school. As he's still in Santa Cruz, they still hang out together. Here are Alex and Galen (in white) on the attack. Friends on and off the field. They also love to go out for dinner on the weekend with friends along. 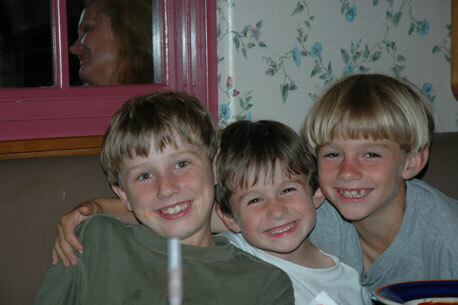 Here they are with Anton at Marie Callendar's in Capitola.